These Mycarematters stickers are printed with your unique Mycarematters code, enabling health care professionals to retrieve and view / print out your profile. Stick them to any paperwork you’ll take with you to hospital. If you also wish to purchase a wallet card and key / luggage fob you can buy all 3 items together at a 25% discount. Further details here. Once you have created a Mycarematters profile, you need to ensure that healthcare professionals are aware of its existence. 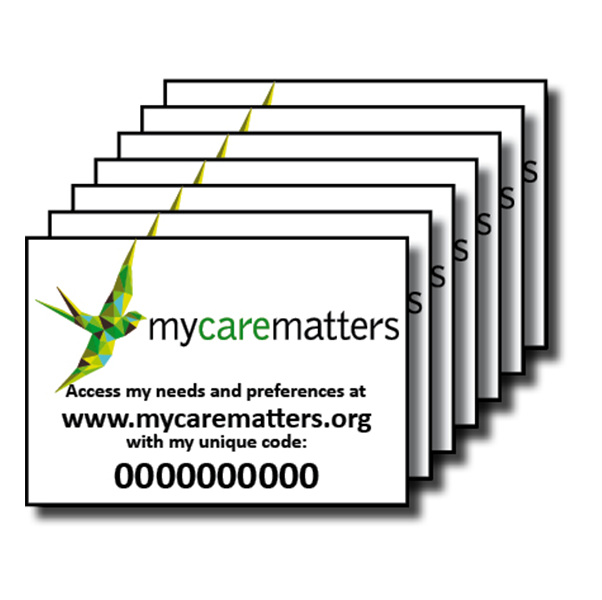 These stickers have your unique Mycarematters code printed on them, enabling hospital staff to retrieve, print out and display your profile. 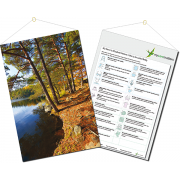 In this way, everyone helping to care for you will be aware of your needs and preferences. 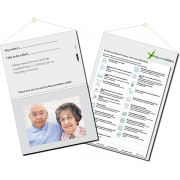 Mycarematters is an online platform where a person, or a carer / care home on their behalf, can upload the information they want healthcare professionals to know if they are admitted to hospital and are unable to communicate. 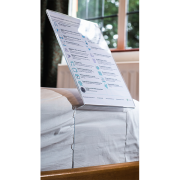 So if a person has to undergo a stay in hospital and has created a Mycarematters profile in advance, their needs and preferences can be accessed the minute they arrive on the ward. 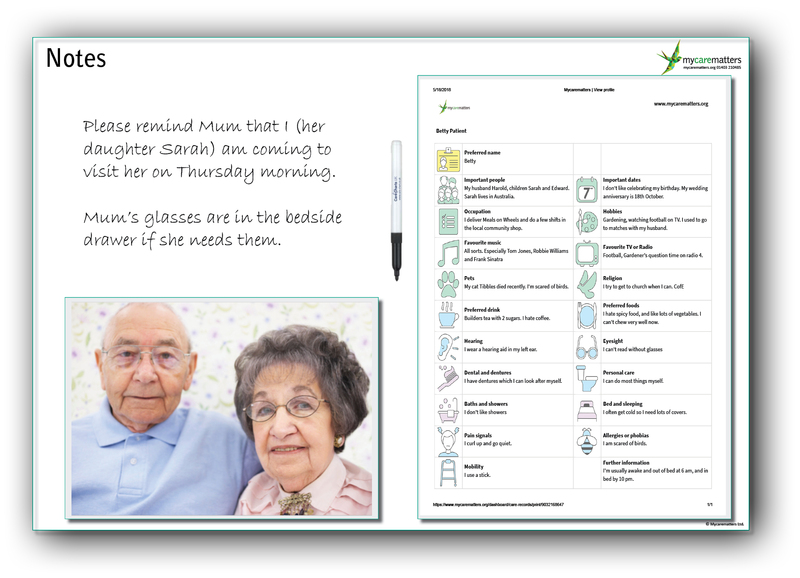 Their Mycarematters printout can also be used to assist with care in a care home or in their own home.